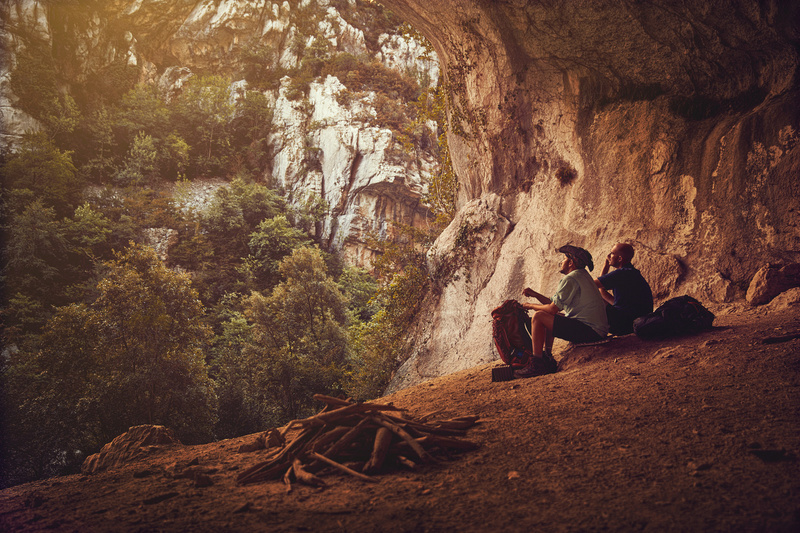 Shot during a trek in the Verdon gorges (France) with a couple of friends, who truely loves their area, and hikes almost every week, all along the year. I wanted to discover their universe and passion, and capture those quiet moments, when natures surrounds you. We took a looooot of gear (Canon 5D Mark IV + 5 prime lenses, an Elinchrom ELB1200, an ELB400, a drone for video footage, a Lumix GH5...), and walked from 7am to 9:30pm to get the images I wanted, a true adventure ! ,, I like that color grading..